At their annual Regional MINI meeting in Atlanta, GA MINI USA targeted growth and opportunity while lauding the year’s successes including MINI of Wesley Chapel’s state of the art new facility and franchise. The United States have become MINI’s largest market and are quickly, in light of BMW’s woes in China, becoming a real focus for BMW as well. MINI targets growth to 100,000 units annually by 2016; which would be a 34% increase for the manufacturer. They also state they will double sales of CPO (certified pre-owned MINI’s) in four years. A large part of their strategy is to fix quality issues inside the brand. MINI has vowed to improve JD Powers initial quality issues which are the single black eye in one of the US’s most exciting car brands. MINI plans to add a few points as well which has not typically been a part of the MINI growth strategy. 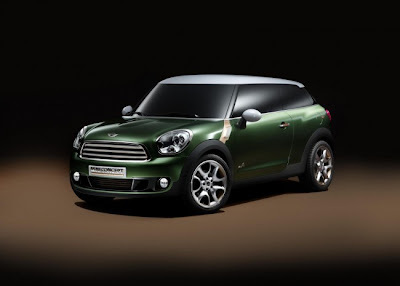 MINI also plans new product launches with Paceman, which will be the first MINI to feature a rear boot badge. While MINI is careful not to lose it’s “MINI” appeal it has targeted the larger small car segment (Countryman) as a real growth opportunity. Nationwide events like Dragon and “MINI takes the States” have become more less a cultural phenomenon and will continue to be a point of MINI’s brand awareness strategy. Awareness of the brand is a challenge amongst a humble ad budget and small dealer body but the upcoming MINI advertising campaign will attempt to resonate with the unique proposition and personality of MINI and MINI buyers.